Yesterday, we launched a prototype. 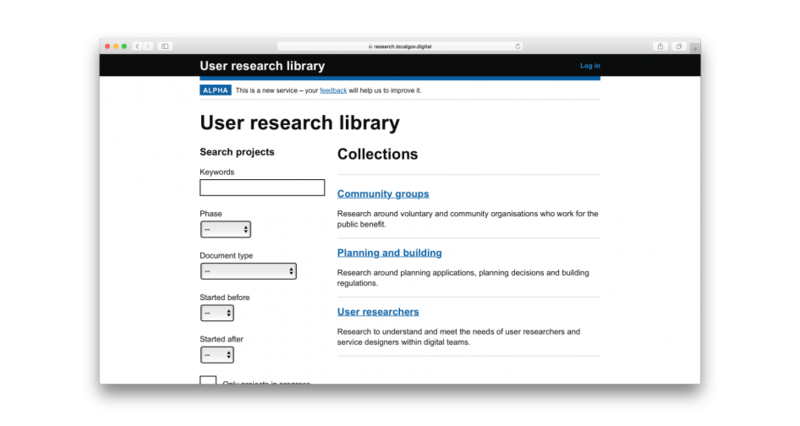 The User Research Library helps government teams share, discover and connect user research. Hackney Council has a vision of becoming the most user-centred local authority in the UK. Furthermore, like many organisations recognising the value of user-centred design, Hackney have had an explosion of research activity. Participant fatigue (a risk to ongoing participation). Lack of an overall picture to help prioritise business and user needs. Working with our partner studio, Hactar, we researched, prototyped and built this alpha version of the library in six weeks. We are seeing the emergence of specialist tools to support product and research teams. Many products in this space try to force user research insights into pseudo-quant-data. In our product research, we found a few common approaches to this. One option is to use machine learning techniques like natural language processing(NLP) to extract tags and meta data from text. Sadly, this approach is often unreliable. Another involves trying to change people’s working practices; expecting researcher teams to manually tag text and quantify the needs of users. In the context of a busy research team this approach is unrealistic. Furthermore, it misinterprets the intent and value of user research. User research doesn’t exist as structured data. It lives as unstructured data inside files – like documents, PDFs, spreadsheets and slides. After prototyping and testing ways to turn documents into data, we learned that the underlying problem is – you don’t know what you can’t see. Rather than pursue complexity, we needed to do what seemed simple at first. 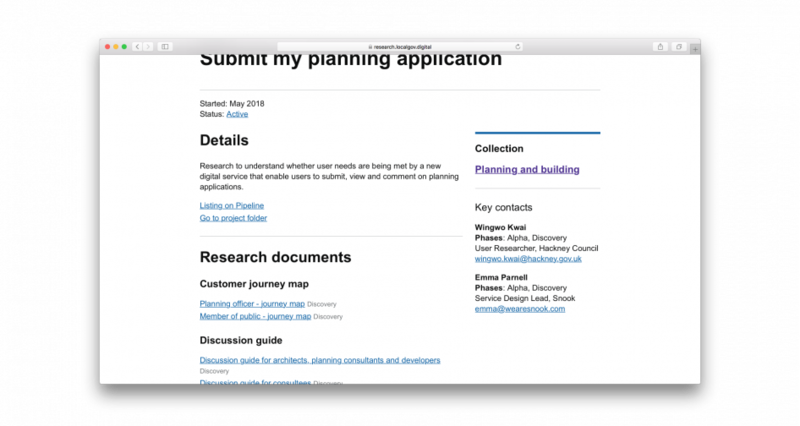 Our real challenge was: how might we get user research documents into one place – and make them easy to explore? 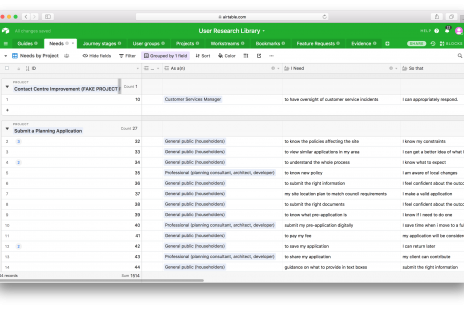 The user research library works as an index of document links, outside the walled garden of team drives. Our first prototype. A data centric view of user research. Our third iteration of the library structured around documents. Collections help group related content together. Collections allow librarians to group related projects together. For example, Social Housing projects might belong to the Social Housing collection. This helps others browse projects relevant to them and inform future research. Projects are the main way people find insights and assets from research. 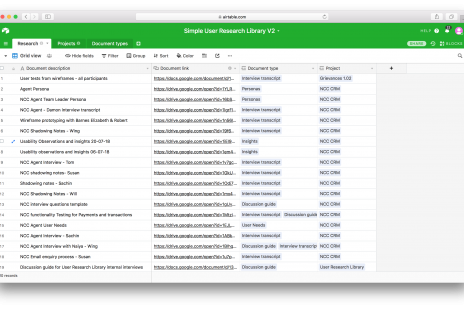 Projects list links to shared research documents grouped by types. They also feature useful content, such as key contacts and dates to contextualise research. You can search and filter projects using keywords, dates, phase, document types and status. In the future, search functionality could evolve to offer new and more powerful ways to discover relevant research. Project teams share links to documents stored on a file sharing service such as GDrive or Sharepoint. Users have access to an admin interface to do this. Currently, file permissions / access requests are all handled by the teams’ file sharing service. While users can see the metadata held in the library, they won’t have access to it without a permission from Sharepoint. You can request access to files simply by following the link in the library. There is a growing interest amongst local authorities to share common approaches to shared problems. This is best articulated through the Local Digital Declaration convened by the Ministry of Housing, Communities and Local Government (MHCLG). To scale the benefits of user research and service standards across local government, we need new tools like the User Research Library to support it. 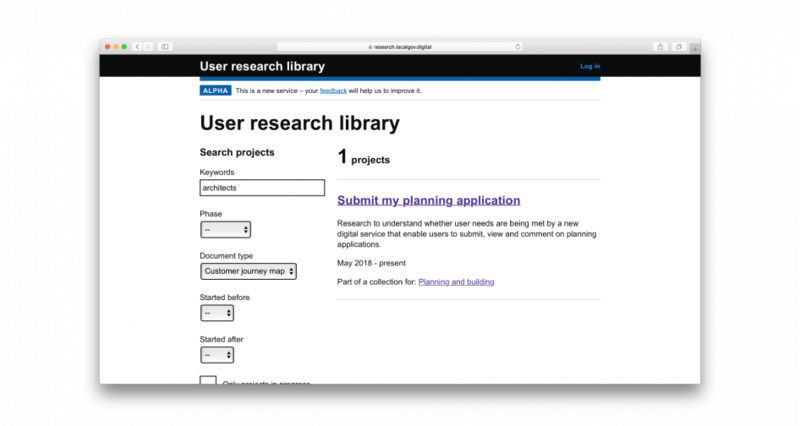 The user research library is very much a prototype. We are actively looking to talk to local authorities and government teams who want to test and validate it with us. Our ambition is to develop the library into the way for teams to share research across government and local government. We’re also interested to talk to organisations beyond the government who share this challenge to their mission of becoming user-centred and design led. These projects don’t happen without hard work from committed people. Lucy Stewart, Victoria Alvarez Calvo, Sonny Baker and Ana Rodrigues. Richard Smith, Lead User Research and product manager for the User Research Library. Hackney’s delivery team including Gill Newman, Efrem de Paiva, Will Bristow, Rahma Mohamed, Wingwo Kwai, Dennis Robinson, Nic Teeman and Matthew Cain. Phil Rumens, Ben Cheetham and the team at Localgov Digital. Chris Taylor and Dave Harding from Home Office Digital. Finally, all the people we spoke to as part of our user research. Thank you.